Alright, quickly glossing over the super long gap since I've posted - yes I'm alive & well and still teaching fitness! Now onto what I wanted to talk about today! Because I heard about the training about 2 weeks before the actual date, I didn't have too much time to look into it, but I figured that the price for the one day course was on point. The one thing I did find out was that in order to teach BollyX, you are required to subscribe to their portal, which is a monthly fee of about $20 (USD). For this reason, I decided I wouldn't teach classes in the end, because I already have my Zumba ($30 USD) and Bellyfit ($20 CAD + tax) certifications that I am already paying monthly fees for. When you sign up for the training, they send you a link to their online portal. The portal gives you a glimpse of what you'll have access to as an instructor, and some resources as a trainee. Ideally, it's best to take a look through the sections you have access to prior to attending the training. I did do a quick run through of all the steps that have video tutorials, and it definitely helped me learn more quickly on the day of the training. Already by looking at the portal, I was impressed by some of the things that BollyX was doing. They have video break downs for the most common steps in the different styles, they have a video on class introductions (ie. what you should be saying before EVERY class - I feel like this could be a whole blog post on it's own...and I just might have to do that sometime in the future! ), and it also had a video tutorial on the "wide squat" position that is commonly seen throughout the class. 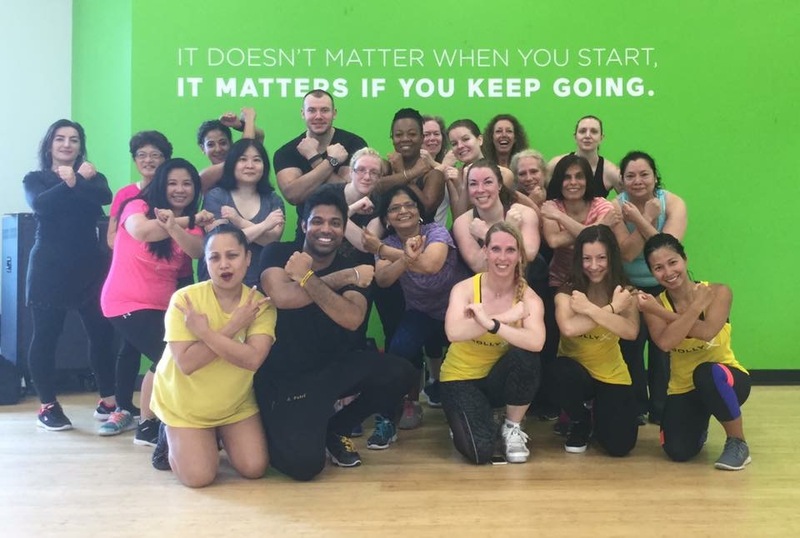 My two biggest concerns going in to the training were that I wouldn't have the cardio endurance to get through the class confidently, and the instructor fees in order to teach BollyX. As with most trainings of this nature, the day started with a full BollyX class - for which, I was about 5-7 minutes late. Luckily, it was easy enough for me to jump into the warmup section of the class, and my mood improved drastically once I started moving. For anyone who hasn't done a training program like this before, I highly recommend bringing 2-3 full changes of clothes (right down to your underwear!) because you will be sweaty. And then you will freeze. Changing after the class, and again at lunch is usually a good plan. What I really loved about the day is that it really was a good use of the 8 hours because the course is about teaching instructors how to teach BollyX classes. I've taken other courses where far too much time is spent on marketing, the company itself, legal mumbo jumbo with respect to trademarks, etc. which is not a good use of time when you want people to be teaching safe classes that offer a consistent experience. Speaking of the exam - to become a full BollyX instructor, you're required to submit a video for feedback. The easiest thing to do is to submit it at the end of your training day. The trainer will film you teaching the one song that you have been working on throughout the afternoon and submit it for you. This is another reason it's a good idea to check out the portal before you show up for training - the exam song and choreography are available to start learning. The purpose of the exam is largely to obtain feedback for yourself as an instructor. What the BollyX team is looking for in your video is rhythm/musicality, pre-cueing, general grasp of technique (mostly that it's a high impact format and you can demonstrate this - if high impact isn't your jam, they have a low impact version, BollyX LIT as well), and a good handle on the choreography. My favourite thing about the one song format - it's easy to complete, it reduces anxiety because you don't have to memorize a whole class of material, and it allows the BollyX team to provide you feedback quickly so that you're not practicing the same mistakes over and over!! I know that it might seem intimidating to film and submit your exam at the end of the training, but it's a good way to obtain feedback quickly and become a better instructor. *note - at this point I haven't received feedback yet if I've passed or not! Although my guess is that I did pass...* I was feeling nervous about the exam before the training, but by the end of the day, it was no big deal. I was a little bit surprised when I showed up *late* to see Shahil Patel (one of the co-founders of the program) teaching the class. At the time, I didn't really know who he was...except that he's the guy! (scroll back up to the top image...that's him right there in front ;) Throughout the course of the day we got to find out his story (to find out more, click on his name which will link you to his bio on the BollyX page), and I found him to be a fantastic trainer, very knowledgeable, obviously passionate, extremely personable, and a lot of fun. The manual for the course is short, but good. I think it's something like 25 pages, which is great because it only covers the necessities, and it's something that I'm more likely to reference in the future. Additionally, BollyX is one of the most technologically advanced fitness programs out there, and everything else you might possibly need is on the portal. This is an interesting topic. Unlike other programs with monthly subscriptions/fees, BollyX does not provide music to their instructors. Originally when I learned this, I was annoyed. I had an initial knee-jerk reaction to be upset about this just because it's new to me, but after weighing the pros and con, it's really not a big deal. Basically, I feel like this was a good "work around" for the BollyX company to get the program out there without having to jump through all the legal hoops to deal with music licensing that would have been very costly and time consuming. Is this likely to change in the future? Quite possibly, I think that with a growing community of instructors, the benefits of dealing with music licensing might be worth it. I know that this sounds like a silly thing to be excited about, but at the end of your training day, you get a tee shirt or tank top (for which you indicate your size and preference when you register). This is the first training that I've received swag of any kind - and I currently have taken about EIGHT other specialty courses! It's exciting to walk away at the end of the day with a bright yellow BollyX tank, not to mention how brilliant it is on their part for marketing purposes! ;) Seriously, how sharp is the pic of our little training group here?! Whooooo! Congratulations for making it all the way through this and thanks for sticking with me! 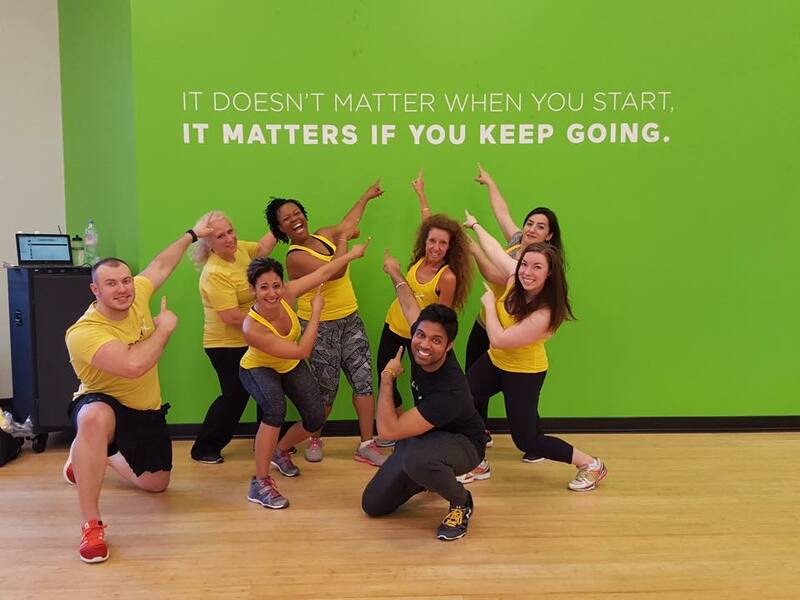 Overall I was impressed by the planning and foresight that this company has put into the BollyX format, the training course, the instructor materials, and the marketing and branding. For portal fees, you can be signed up for $20/month, or $200/year, and they just ran a promotion for $120/year (all USD). 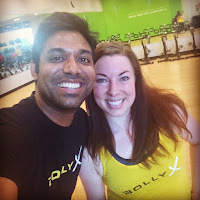 Even though I originally wasn't planning to teach this format, I have just subscribed for the $120 annual subscription because I really do think that BollyX has a great thing going and that they're moving in the right direction. I'm very excited to see what the future holds for this program and the company! Additionally, they have a referral program where the person who referred you receives credit for the portal, merchandise, etc. If you're going to sign up for the instructor training, I would love for you to add my name as the person who referred you - Jill Nadon.